The one thing that attracts about it other than the fact it is from Apple is that it is waterproof, or you can say; it’s swim-proof. By adding this feature in the watches, the firm has aimed at the sports and fitness market too along with the fans. Not only this, it supports various swim modes for the swimmers to keep a track on their swimming with its help. The watch can be easily carried while swimming or showering as it is water resistant up to 164 feet. Talking about the change in appearance, it is negligible as the watch 2 looks almost similar to its predecessor. The only change in the new wearable as compared to the older one is about the improvement in features and working. The Apple Watch2 will be available in aluminum, stainless steel and a slick new ceramic model, which is expected to be much harder than stainless steel. The price will be $369. The earlier edition will also be available alongside with the Watch 2 for $269. The latest wearable comes in two sizes, just like the previous one- 38 mm and 42 mm. The WatchSeries2, which is the second generation model has come up with improved graphics and a much faster dual-core processor. The company has now added the GPS feature to it which can help the user to measure distance, speed, and pace while simply walking, running or maybe biking. It has also improved regarding a display of it has a much brighter screen. However, there has been no such up gradation in the battery life of the new Apple W Series 2. The battery life is same as that of the older version, although the battery life is always an issue with its products. 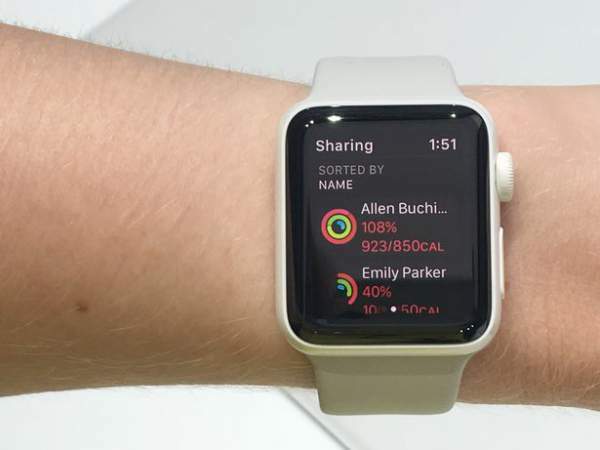 The Nike+ watch is expected to be of an aluminum case with a funky silicon strap which would make it look like a super combo of Nike Fuel band and Apple’s wearable.